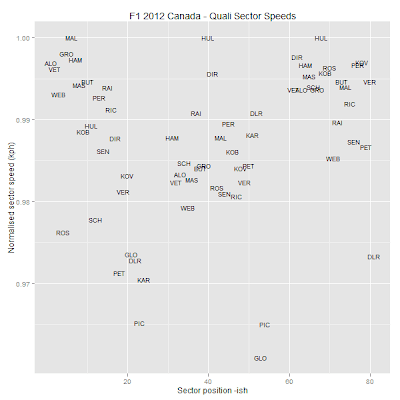 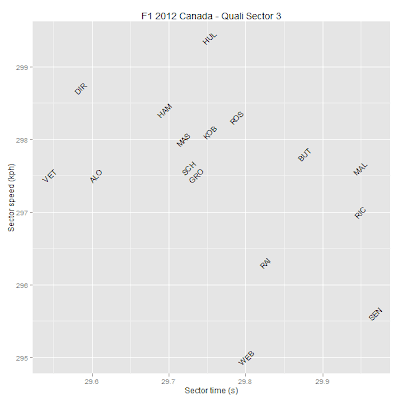 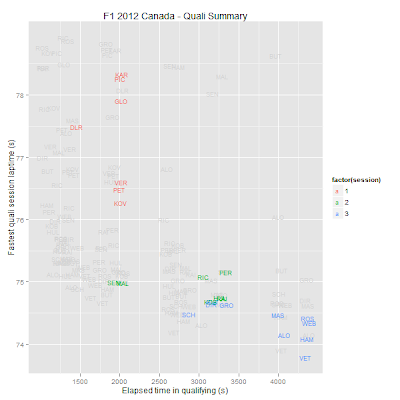 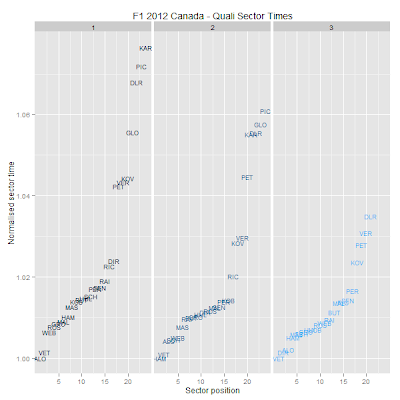 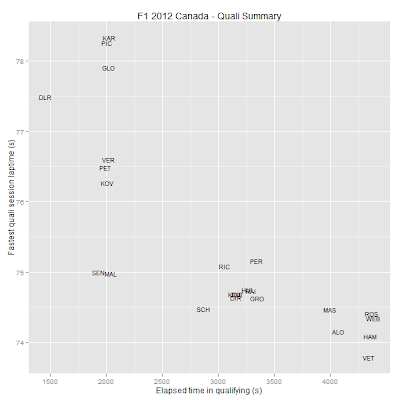 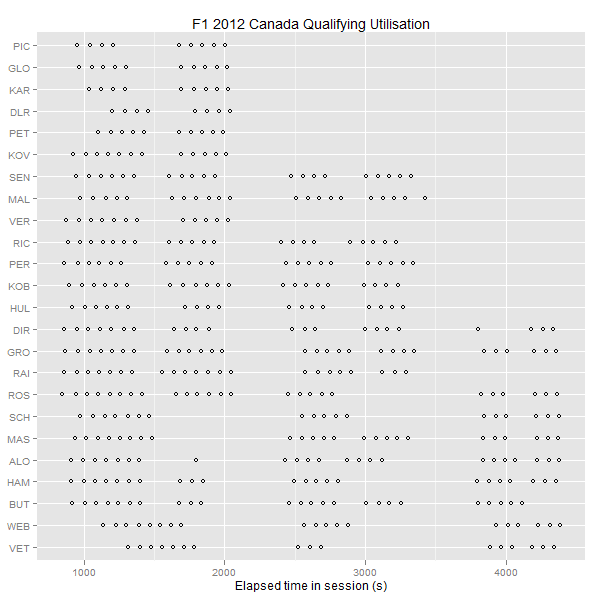 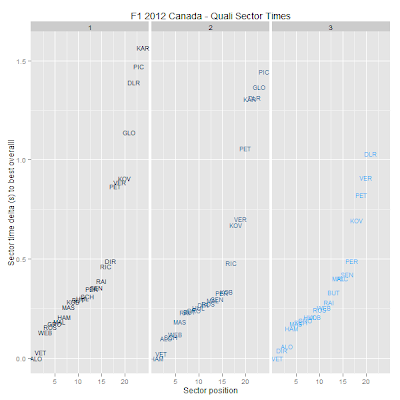 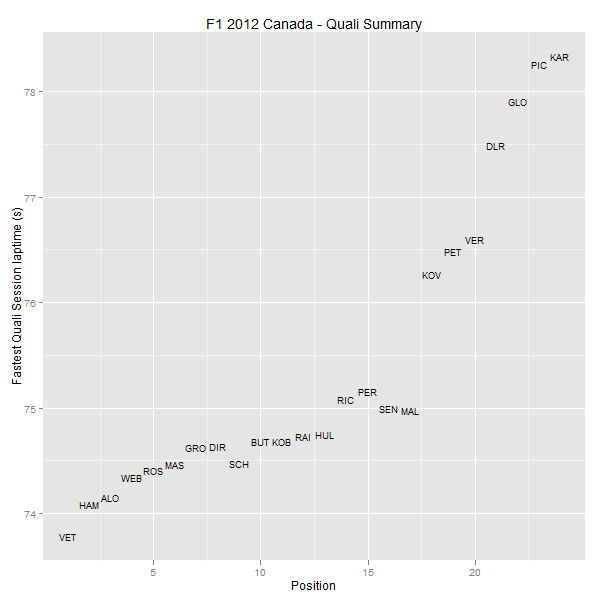 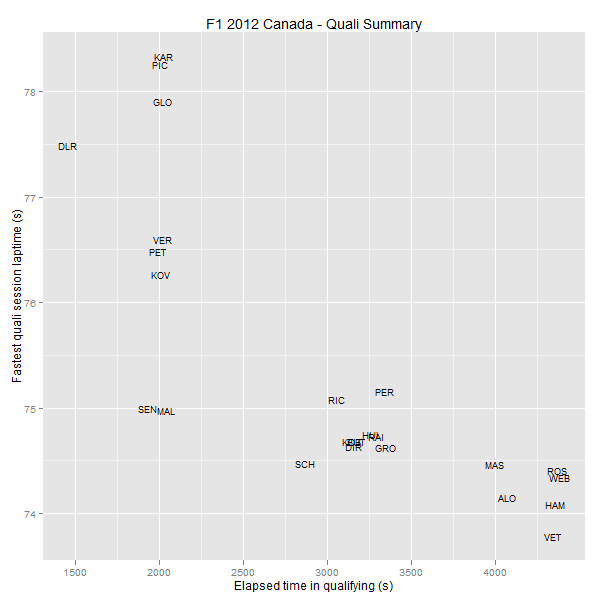 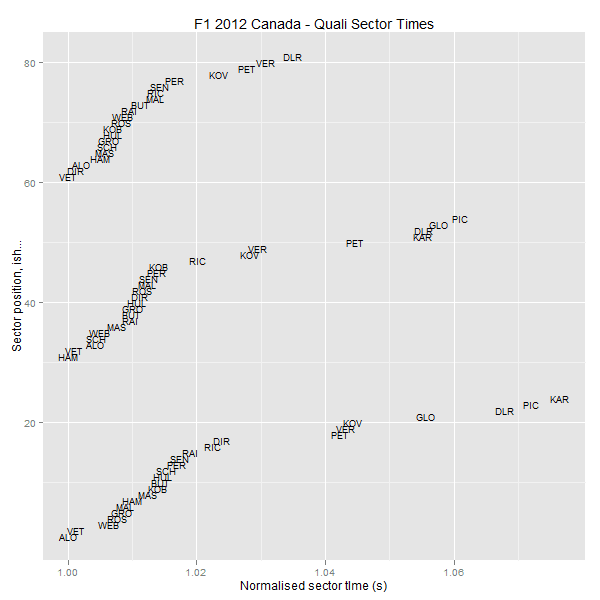 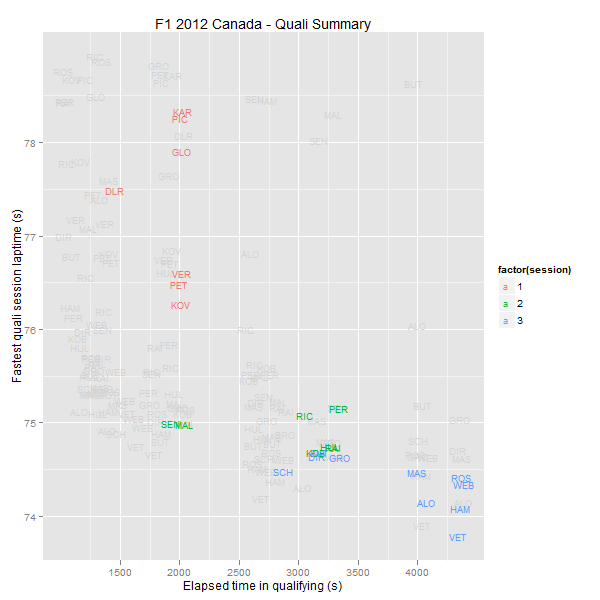 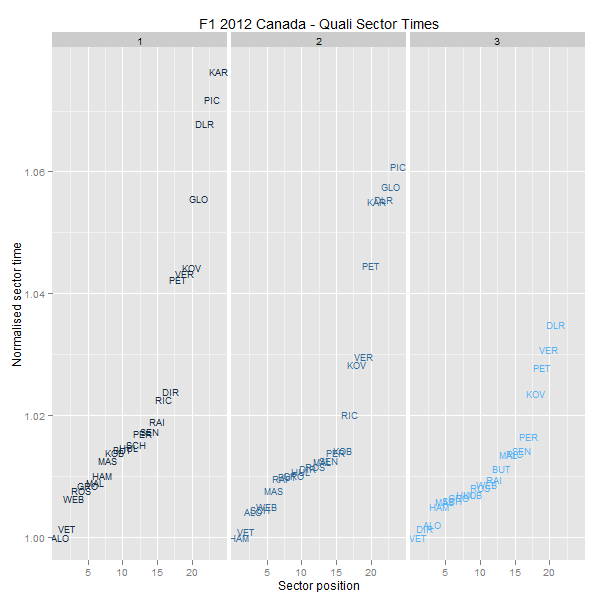 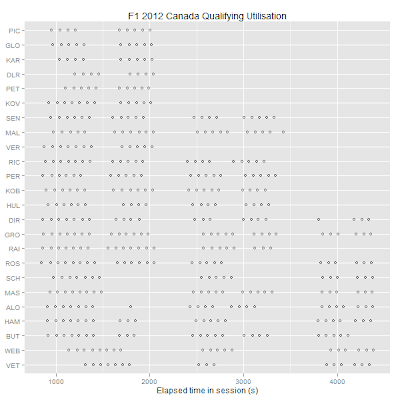 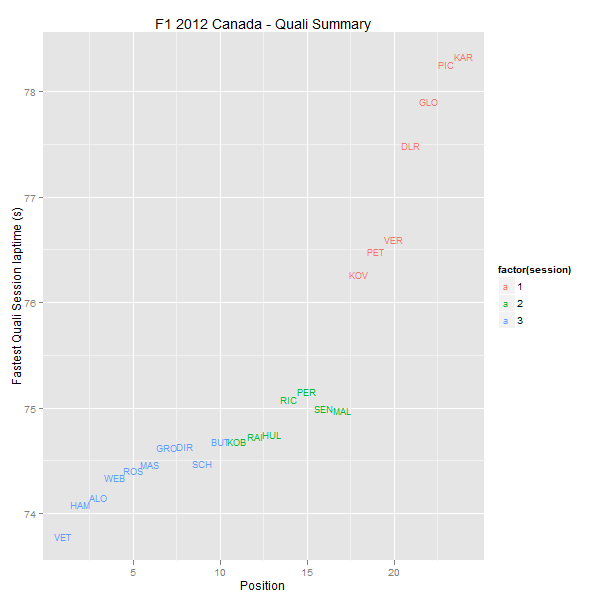 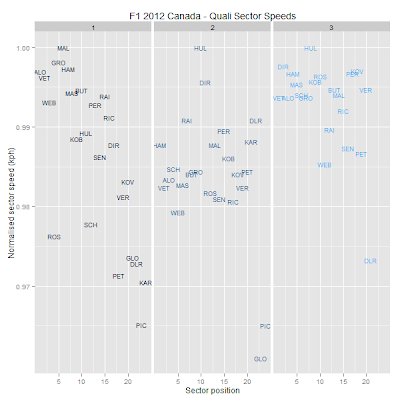 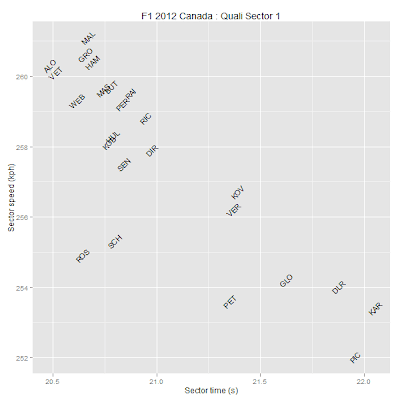 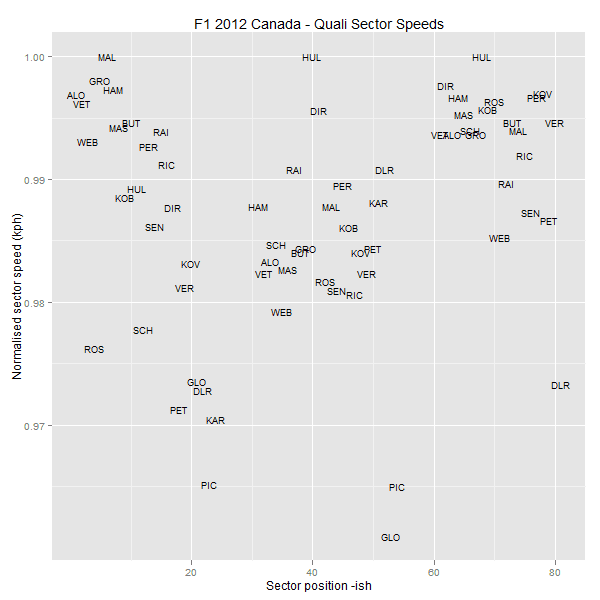 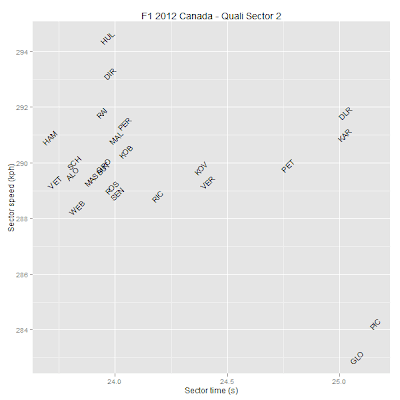 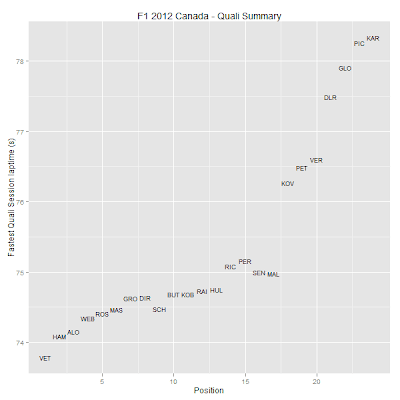 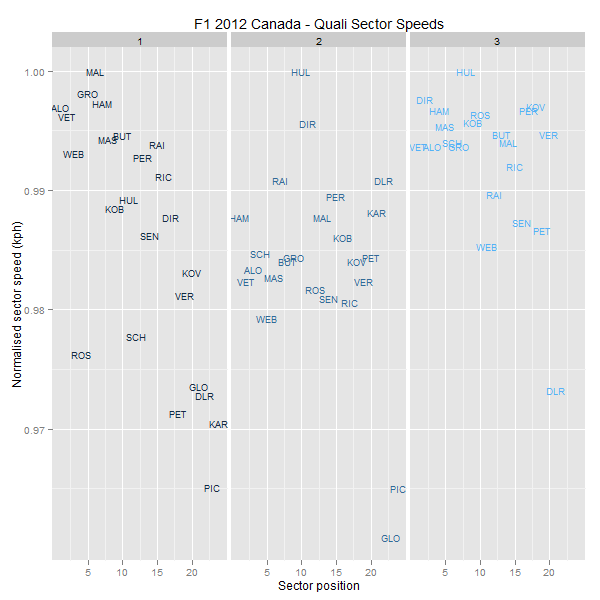 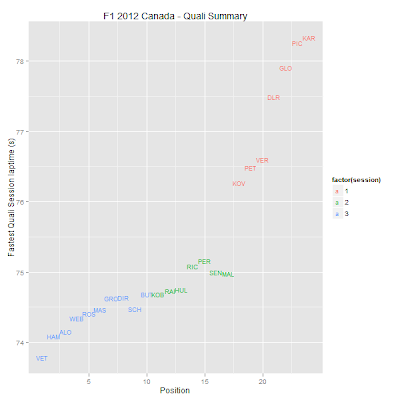 Summary visualisation charts from the qualifying session of the 2012 Formula One Canadian Grand Prix. 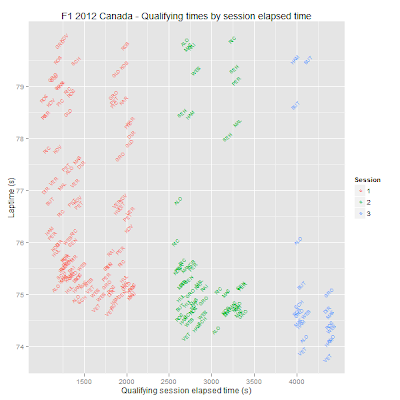 Session summary - fastest qualifying session laptime versus final position. 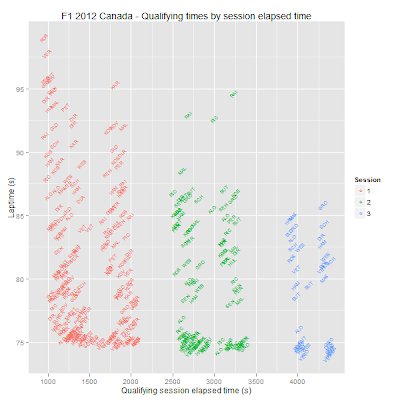 This chart helps highlight drivers who got a faster time in an earlier qualifying session, and allows you to see where they might have qualified had they managed that time in a later session. 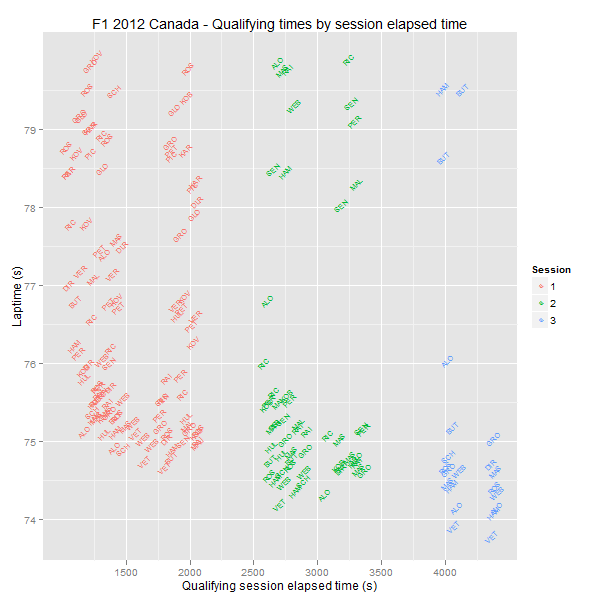 Session summary - this summary chart show fastest laptime recorded by each driver during classification against the time during the session at which they recorded it. 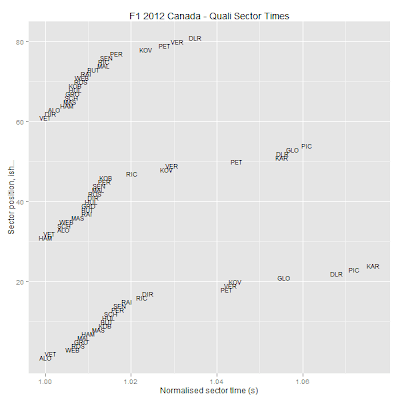 Sector time deltas to best overall sector time. 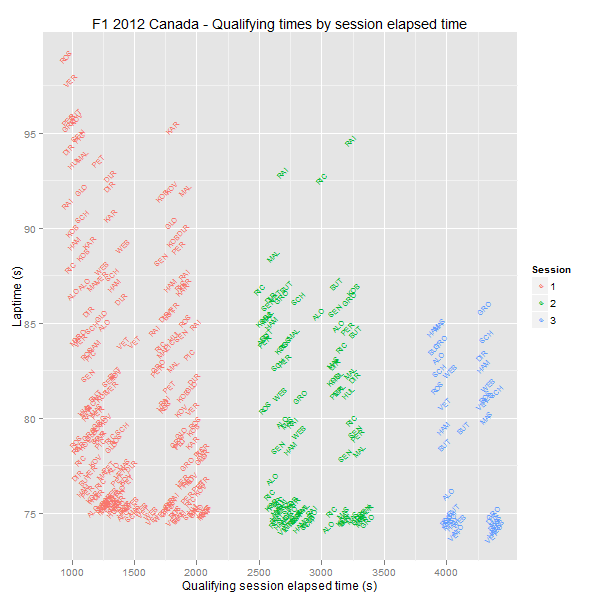 I really like the 'breakdown of laptimes by session times' graphs.